When we first learned about Ocopa (1324 H Street, NE) several years ago, we heard that it would be a Peruvian rotisserie chicken place called Chicken Tortilla by the owners of a restaurant by the same name on Barracks Row. 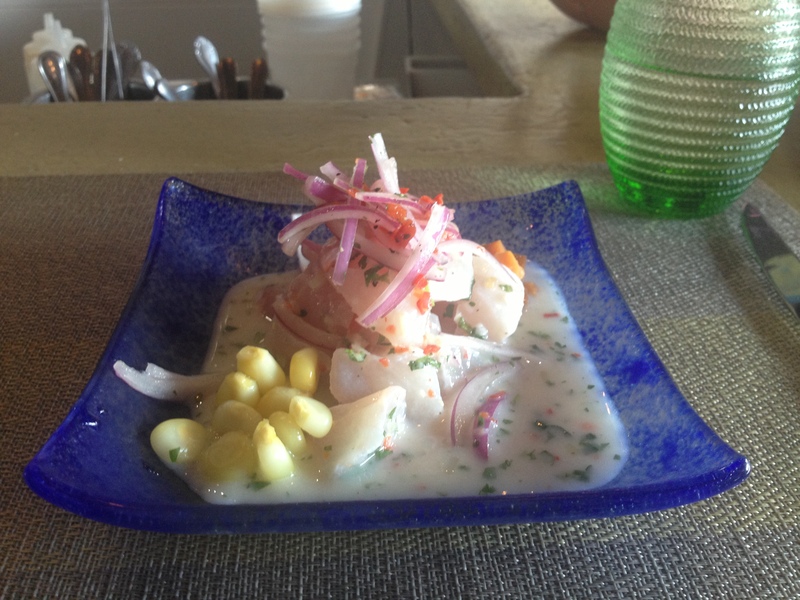 Over time the plans changed and when Ocopa opened earlier this year, Chef Carlos Delgado debuted a Peruvian menu featuring a variety of ceviches, chicken dishes, and other Peruvian dishes. Delgado’s diverse creations assure that everyone in your party will be able to find something that they like. Our favorite is the Clasico Ceviche, featuring a fish of the day with a pool of leche de tigre (literally tiger’s milk but really a fruit juice marinade) and diced sweet potato. If Mahi Mahi is the fresh fish of the day, consider yourself especially lucky. The ceviche is prepared fresh in front of you if you are sitting at the bar and contains a citrus tangy taste that perfectly compliments the tender fish. If you want to try a variety of seafood, check out the Mixto Ceviche that has calamari, crab, shrimp, and octopus. Delgado also serves a variety of tiradito and Peruvian maki on his menu. Don’t like seafood? Check out one of the many meat dishes. 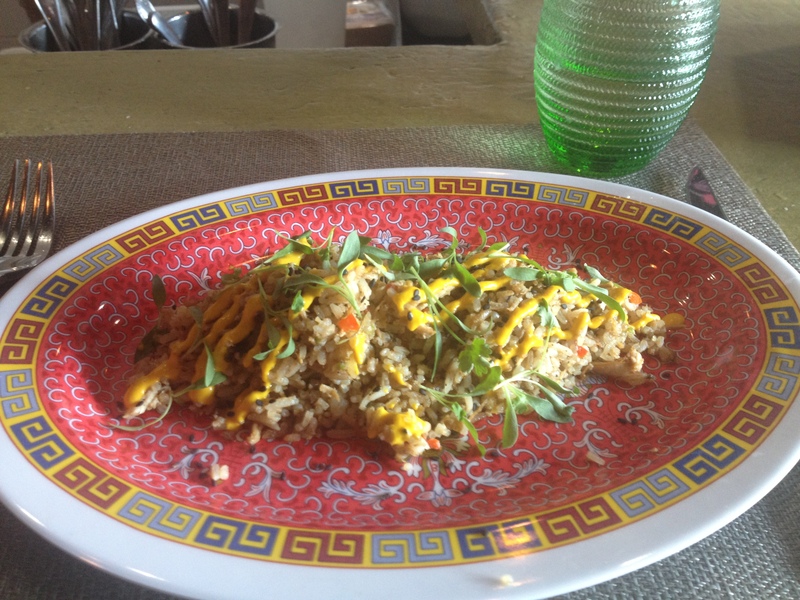 Our favorite is the fried rice (one of their lunch items) that incorporates pieces of Ocopa’s rotisserie chicken with a spicy pepper sauce on top. If you want just rotisserie chicken, you can order it at either lunch or dinner. When Ocopa first began serving lunch, they only served chicken but have since added a variety of ceviches and other dishes, which apparently now sell better than the chicken. While not available everyday, we sampled several grilled skewers, including steak and chicken, during H Streetfest that had great smokey flavor as well. 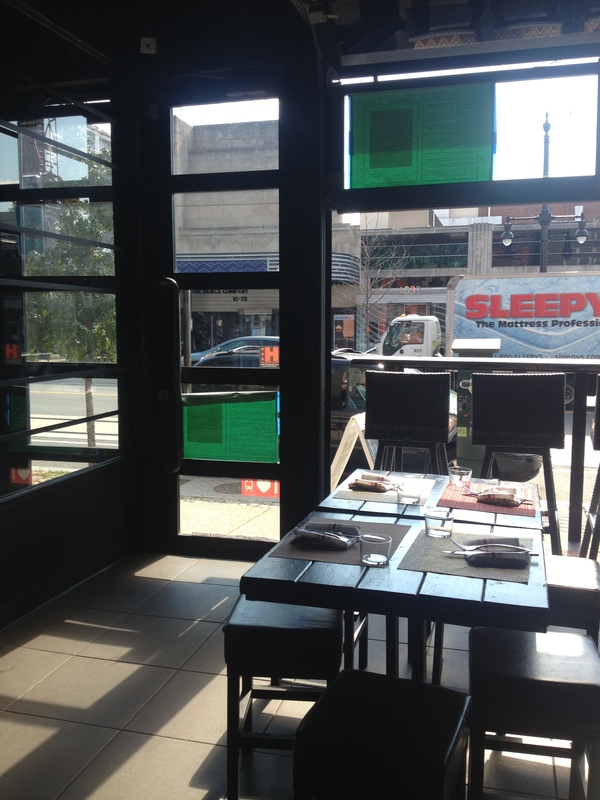 The interior of Ocopa was completely redesigned prior to opening and is one of the sleeker spots on H Street. On nice days, the entire front window of the restaurant opens up and several bar stools form a table overlooking the street. 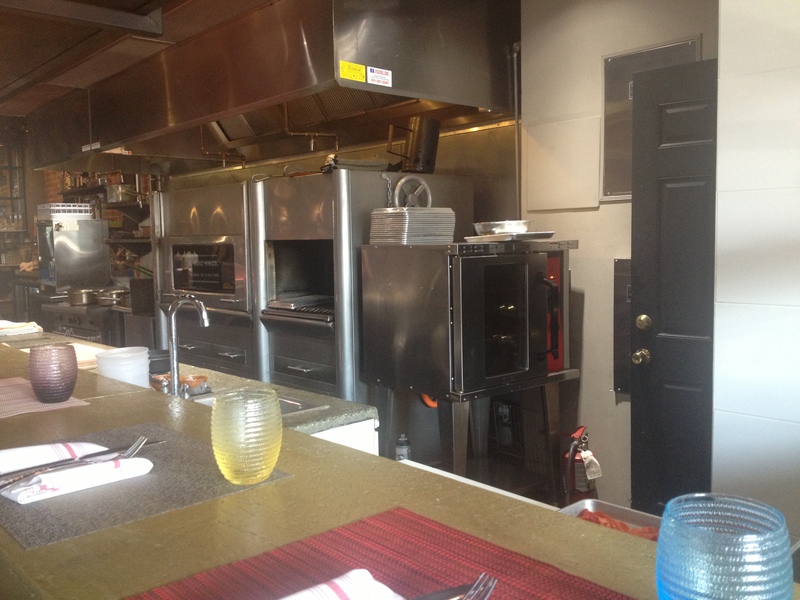 The open kitchen hugs the right side wall of the restaurant and has bar stools all along it. There are also several tables on the left side of the dining room for parties of two or more people who don’t want to sit at the bar. During dinner service in the summer, there is a patio in the back for outdoor dining.